An earthen vessel perfect as a decorative center piece to any cherished family gathering. 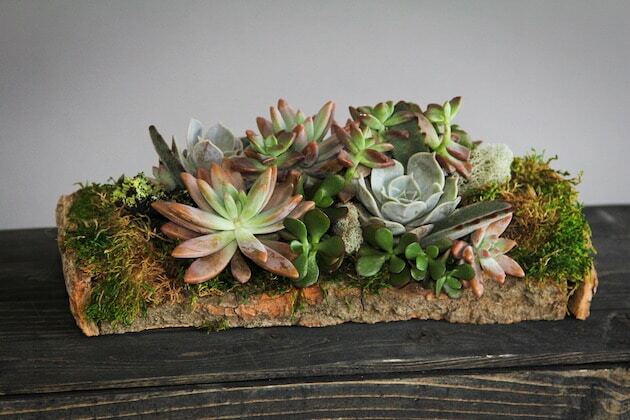 Brimming with a variety of succulents, mosses, and sponges, this organic piece will be the talk of your table. Allow our designers to create your new favorite "yule log"!